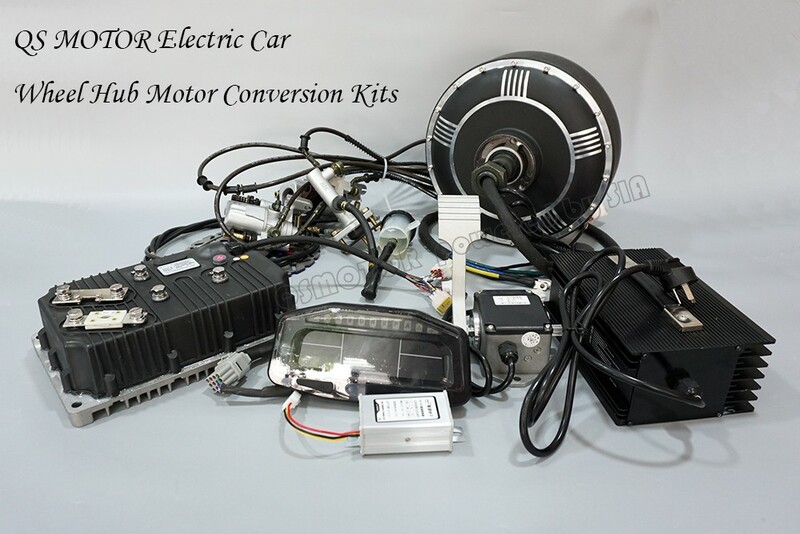 It's electric In-Wheel Hub Motor Conversion Kits, for electric car. Especially suit for light weight car (below 1150kg), for higher weight car, the max speed will be a bit less. 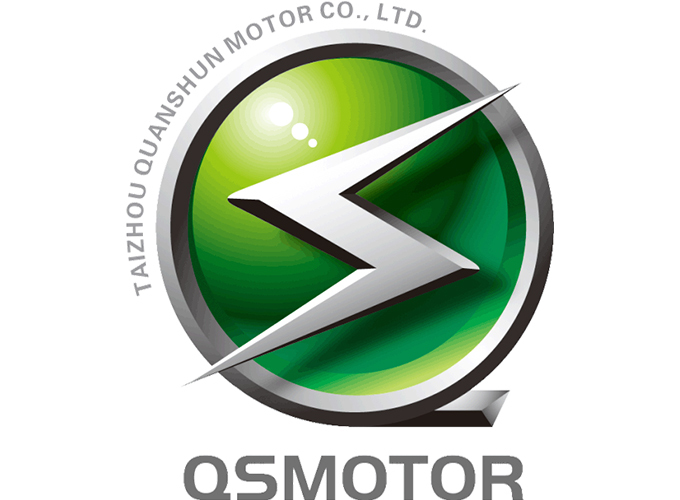 If driven by 2pcsX8000W Hub Motor (2wd), it could be 96V 125KPH, 2*350N.m peak torque. If driven by 4pcsX8000W Hub Motor (AWD), it could be 96V 135KPH, 4*350N.m peak torque, which could regard as sport mode. PS. 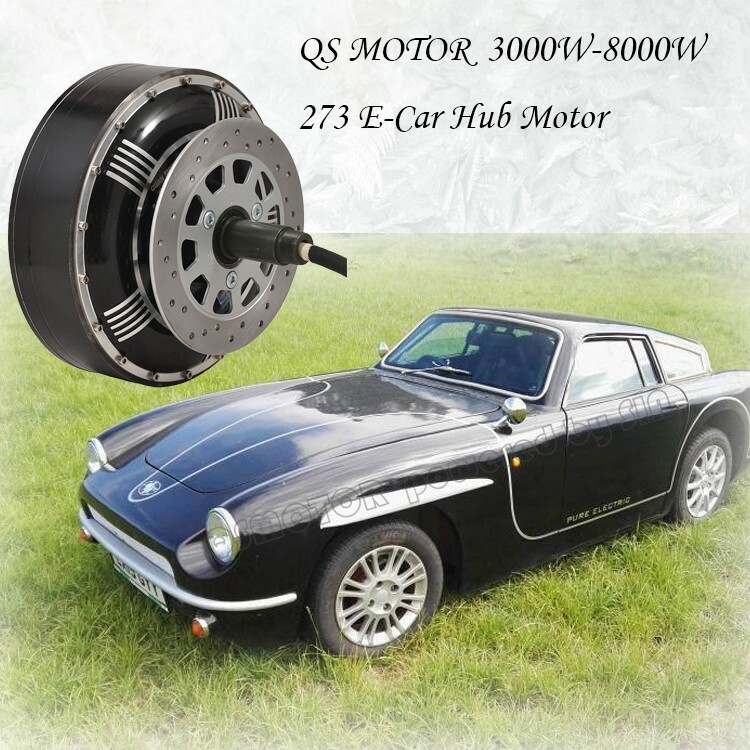 QS Motor 8000W 273 50H V3 Hub Motor could be 20kW continuous, many customer prefer to call it 10kW or 12.5kW motor. 1. Simplify to make a electric-car. Gearbox, transmission shaft, clutch are no need. Which save space. 2. It could be installed in wheels, and easy to be hybrid car. 3. Easily to make 4-wheel drive, which could spot turn. 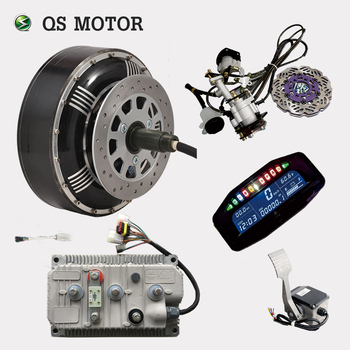 We could offer Wheel Hub Motor, Motor Controller, Speedometer, Throttle, Brake, Charger,Wheel RIM, DC-DC converter, etc PS. So far, the battery is not avaiable. Here is the combo list. SEPC of Kits, Click for more info. kV: 6.0/9.0/13.0 (as default)/14.9/18.0/19.4 etc. PS. Normal Disc brakes is PCD3*80mm, PCD 58mm. It might get loose during driving, so we open new mold to be PCD4*114.3mm, M12. Configurable battery voltage range, B+. Max operating range: 42V to 120V. Package Including: 1pc controller + 1pc GX16-10 to RS232 cable + 1pc Function harness+1pc USB to RS232 Converter Cable (programming cable). 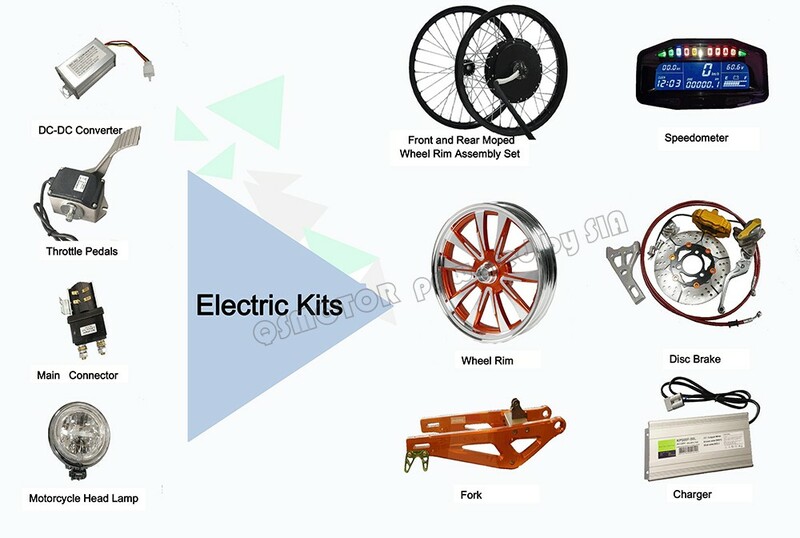 Click for more electric kits. 1.E-scooter, E-tricycle or E-car, driven by 2 or 4pcs motor, tire model? 2.Volt and wattage of motor, Speed(kV), and torque/climb angle ? 3.Your vehicle weight and loading weight? 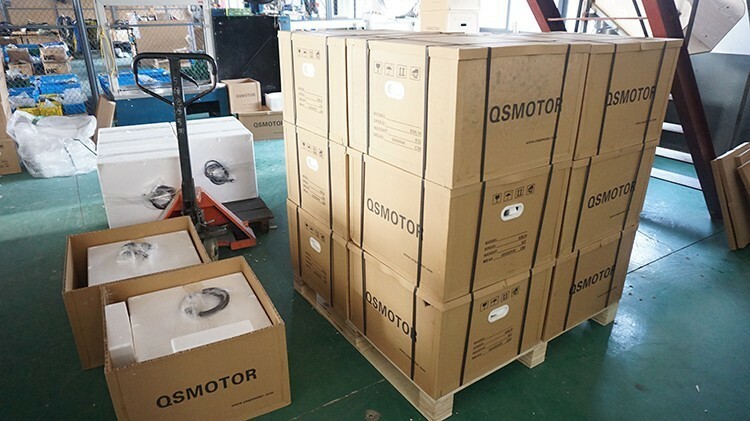 We could suggest most suitable motor accordingly, thank you for your cooperation. PS. To calculate the speed, v(km/h)=n(r/min)*2rπ(m)*60/1000, n=load RPM, r=tire radius. For speed less than 100KPH, consider the Windage Resistance & Rolling resistance. 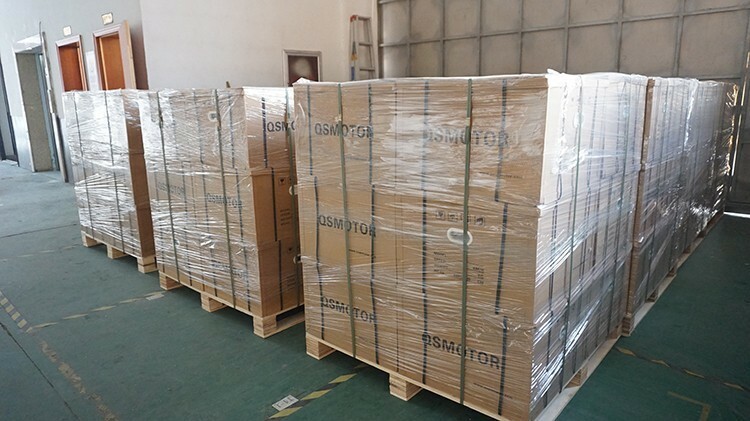 The supplier is ranked number 14 by delivery data in Motors.